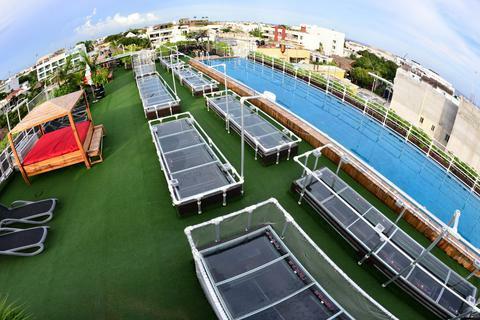 Located on the 4th floor of the adult only Reina Roja hotel the rooftop pool and garden offers panoramic views of the Caribbean Sea and Cozumel Island. The large outdoor pool features soft chaise loungers, a turf style pool deck, a large garden filled with indigenous plantings, and a poolside Sky Bar. The Sky bar serves a variety of craft cocktails and is open from 12:00 pm to 2:00 am daily.